The 14 Head Multi Head Weigher is currently the fastest and most versatile Multihead Weigher in our range. Capable of 120 weights per minute. 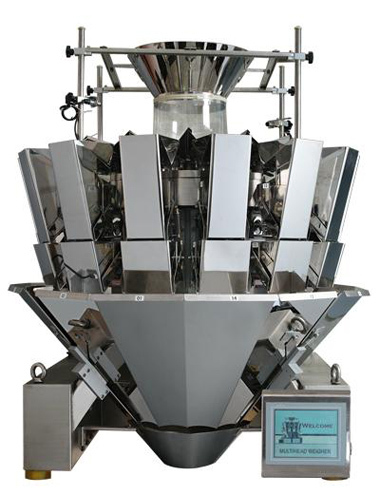 This Multihead Weigher can be configured with 1.6 litre, 2.5 litre or 5.5 litre capacity weigh hoppers. Maximum weight per drop can be up to 5kg making it the ideal Weigher for Salad vegetables such as Onions, potatoes, carrots etc. The Salad version is an excellent weigher for loose Lettuce leaves, rocket, spinach leaf etc. In 1.6 litre guise it will comfortably weigh 12g crisps at 120 ppm. 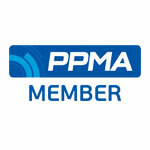 Raisins and Peanuts at 100g - 200g can be accurately weighed at speeds of 100 - 120 ppm.